In the 2500s BC, two men of drastically different background, separated by culture and geography, are linked by one event. The arrival of the Children of the Stone. Marai, a Semetic shepherd living in the shadow of Mount Sinai, prays to the Goddess Inanna like he has done every night since the death of his wife in childbirth many years ago. To the west, the the Land of Kemet (Ancient Egypt), Hordjedtef, one of the sons of Pharaoh Khufu (the guy who was buried in the Great Pyramid at Giza) studies with a wise priest, his bid to become the next Pharaoh failed. Falling from another world, the consciousness of powerful beings arrive to the bronze age Middle East. Though Hordjedtef and his master sense the arrival of the Children, they are not the ones chosen to bear their knowledge. That falls to humble Marai. Called out of his prayers, Marai finds the fallen rock. When he enters it, he will never be the same. Marai is charged to bring the knowledge to Hordjedtef by the Children. But will Hordjedtef respect the power or will he crave it for himself. Marai, joined by three women each broken in their own way, travels west to Kemet where he hopes he will find his destiny. 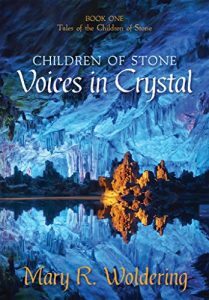 Voices in Crystal is a Historical Fantasy. It is set in our world, amid the mythology of the Akkadians, Sumerians, and Ancient Egyptians but with real, supernatural powers. It is well researched, illuminating the often harsh way of life of the bronze age near east along with the esoteric splendor that Kemet (Egypt) achieved. Though the novel took me a while to read (I kept being distracted by other books) the tale of Marai and the three women called me back over and over. I greatly enjoyed the book, and while it has flaws, it kept me reading to the end, eager to find out more. And the ending left had me on the edge of my seat. I will definitely read book 2. If you’re a fan of mythology, Ancient Egypt, the bronze age, the mystery religions, or looking for a different story then what gluts the fantasy and historical markets, pick up Voice in Crystal. 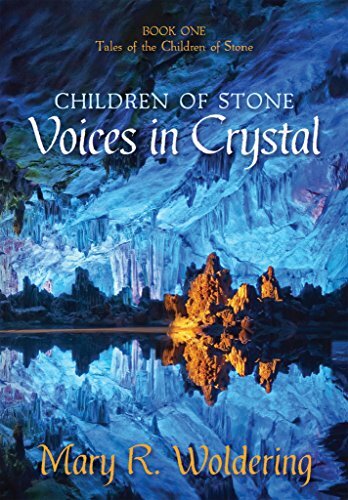 You can buy Voices in Crystal on Amazon!